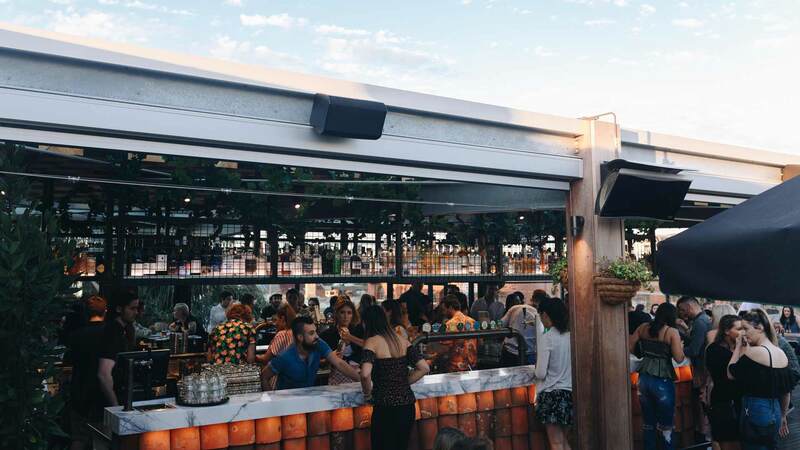 Embrace winter with bottomless crepes and french martinis on a Brunswick rooftop. It's starting to feel a lot like winter in Melbourne, and while that might mean hiding away indoors for some, Brunswick's Provincial Hotel is putting forth a pretty convincing argument as to why you should get outside. It's embracing the chill with a French Alps-inspired rooftop filled with plenty of boozy winter warmers. While the Provincial's rooftop has long been one of the inner north's quintessential summer session spots, this wintery offering means there's still an awesome reason to sit perched high above Brunswick Street in the cooler months. On top of the pub, you'll find a heated marquee — with plenty of blankets and a firepit — filled with warming cocktails and a crêperie serving up a whole heap of sweet and savoury dishes. Plus, on every Saturday Sunday throughout winter, from 11am–1pm, the Provincial is hosting a special bottomless crepe brunch. The crepes you'll be able to build yourself, and pile high with chocolate, fruit, cheese and more (maybe not all together). The drinks include two hours of unlimited bubbles, mimosas, beer, wine and a rotating (and generous) cocktail selection. Cocktails on the launch day, Sunday, June 3, are: long island iced tea, espresso martinis, Aperol spritzes and honeyberry sours — we did say generous. And how much will all of this set you back? $49. Less than a pineapple. We suggest rounding up the troops and booking a brunch table, tout de suite. The Provincial Hotel's winter rooftop will be open for the duration of winter. The bottomless crepe brunch will run from 11am–1pm every Saturday and Sunday, bookings are essential and can be made via the website.